GREEN ENERGY FAIL : €Trillions Spent On #Unreliables In Europe Yet Emissions Keep Rising! CLIMATE change bedwetters love to trash Donald Trump for pulling out of the failed Paris Climate Treaty designed to lower CO2 emissions that are apparently causing dangerous global warming climate change. HE has been labeled a “planet killer” amongst a plethora of standard smear and slime attacks aimed at anyone who dares question the veracity and motives of the $1.5TRILLION Climate Industrial Complex. 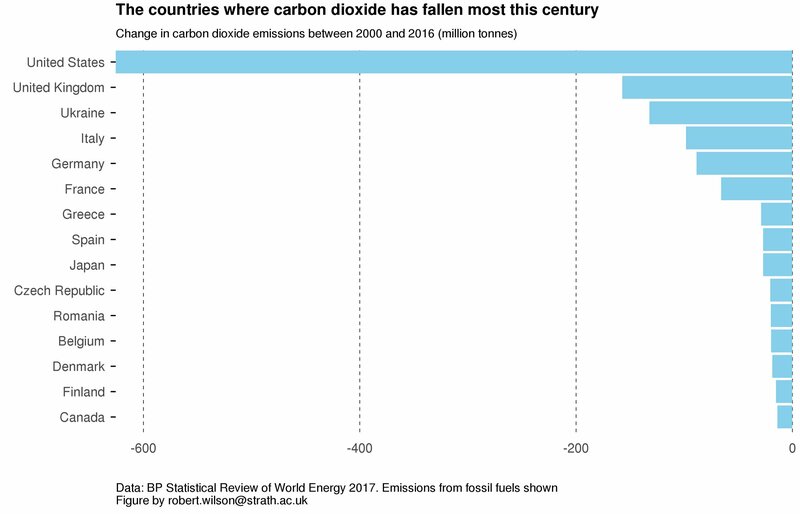 WHERE Trump is 100% correct and the climate bedwetters 100% wrong is that US emissions have been falling, largely thanks to the shale gas boom. WHY on earth would Trump sign up to an economy and job-destroying Paris ‘deal’, when the two biggest ‘polluters’ on the planet – China and India – get a free pass to burn unlimited emissions until 2030?! AND, why would Trump sign up to the latest UN wealth redistribution scam when Europe, the epicentre of punitive climate change policy and green energy madness, fail to meet their own emissions ‘commitments’ despite spending trillions of €uros of other peoples’ money on failed ‘green’ energy? BUT, AREN’T WIND AND SOLAR ‘POWER’ MEANT TO LOWER EMISSIONS? Win: President Trump announced US withdrawal from Paris climate treatyagreement joke. Win: US will use its remaining 3 years as a party to the joke as a vehicle to promote fossil fuels. Over the next two weeks, negotiators hope to clarify the rulebook of the Paris climate agreement. Many delegates are unhappy with White House plans to promote fossil fuels here as a “solution” to climate change. According to reports, members of the Trump administration will lend their support to an event to promote fossil fuels and nuclear power as solutions to climate change.